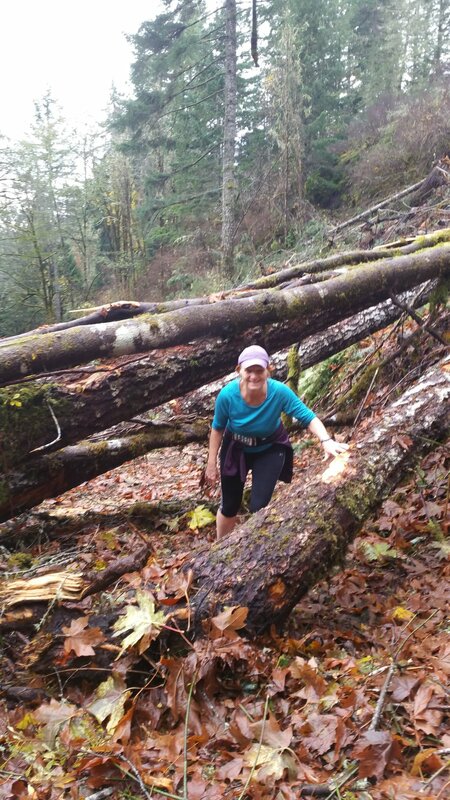 The Sooke Trail & Road Runners (STARR) are a fun, friendly running group that caters to the non-elite runner who is interested in exercise and camaraderie. We meet three days a week for group runs. Runners of all abilities and speeds are welcome. Routes are usually decided upon at the meeting spot. If runners don't feel they are up to the route of the day, anyone is welcome to adjust it to their comfort level. 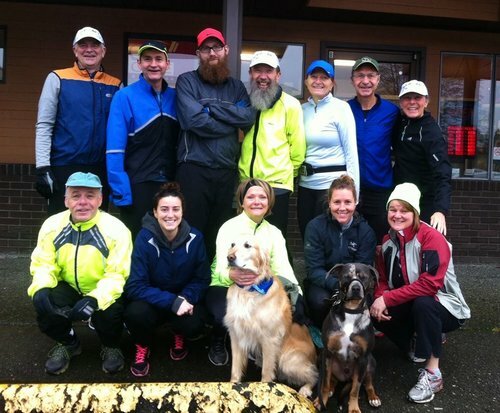 Saturday runs are usually followed by coffee and camaraderie at a local establishment. We run in nearly all types of weather. The weekday evening runs are dark in the winter--so please bring lights and wear reflective clothing. 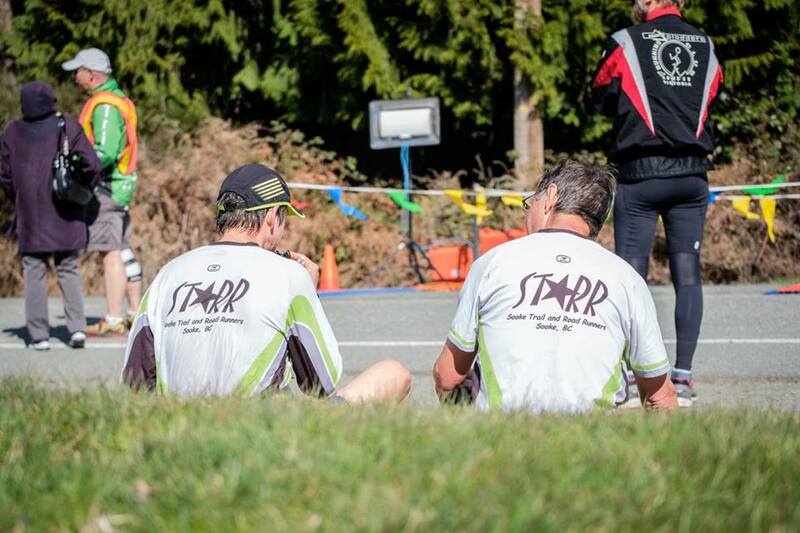 STARR members enjoy a variety of routes covering both trails and roads in Sooke. 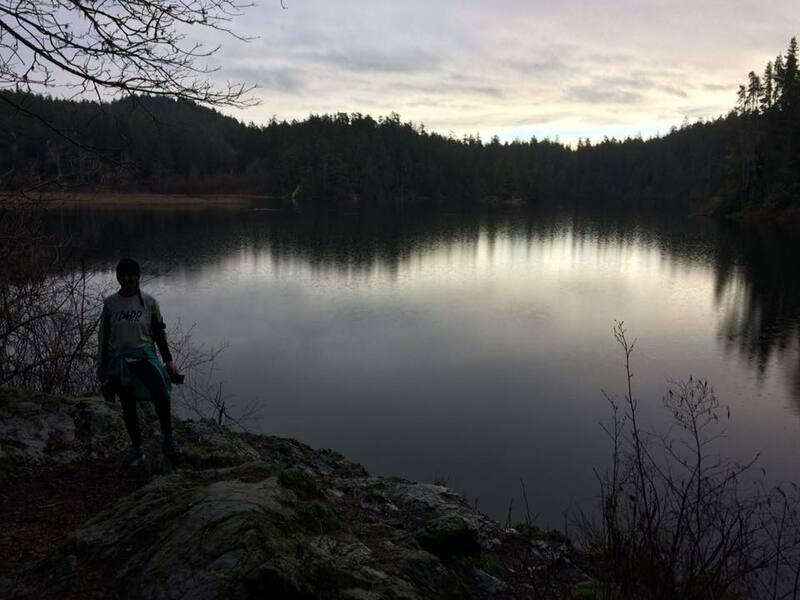 We visit amazing places such as Broom Hill, Sooke Potholes, Whiffin Spit, and the Galloping Goose trail. We hope you can come explore this wonderful area with us. We always post any new runs or meeting places changes to our Facebook page. Usually meet at the Potholes parking lot by Barnes Station. Join in for coffee following the run! 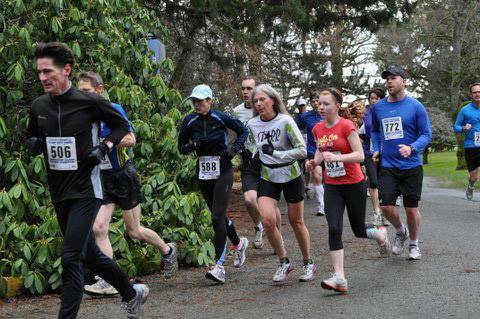 At right, Stephanie and Teresa earned ribbons at the TriStars Sooke River 10K. STARR founding member, longtime treasurer, and VIRA race series fixture Vince Trahan passed away in February of 2019. 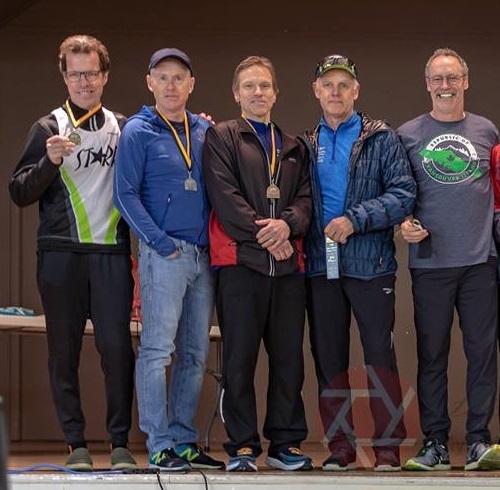 STARRs shined with 4 teams at the 2018 Thetis Lake Relay. 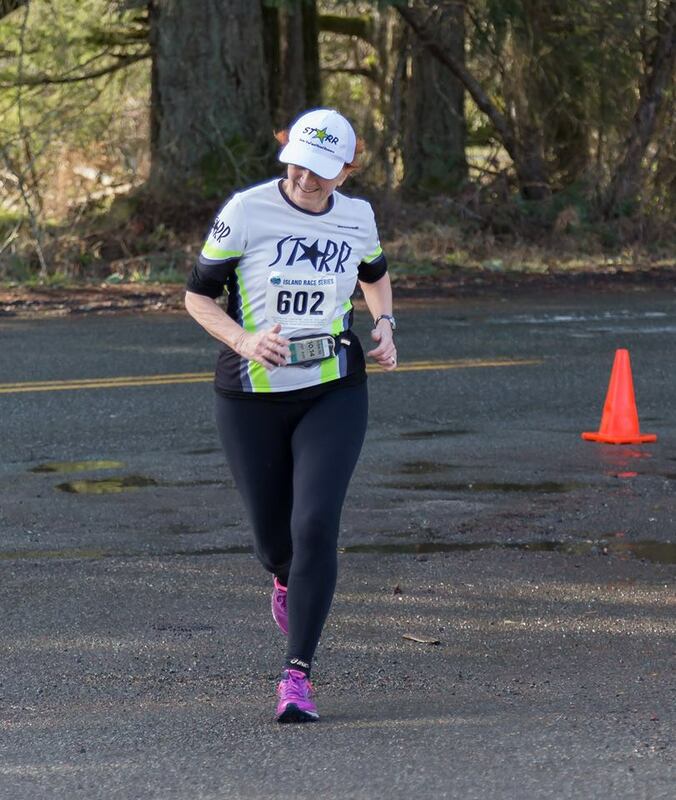 Teresa represented STARR well on home turf with a strong showing at the TriStars Sooke River 10K. Photo courtesy of Dan Clayton. 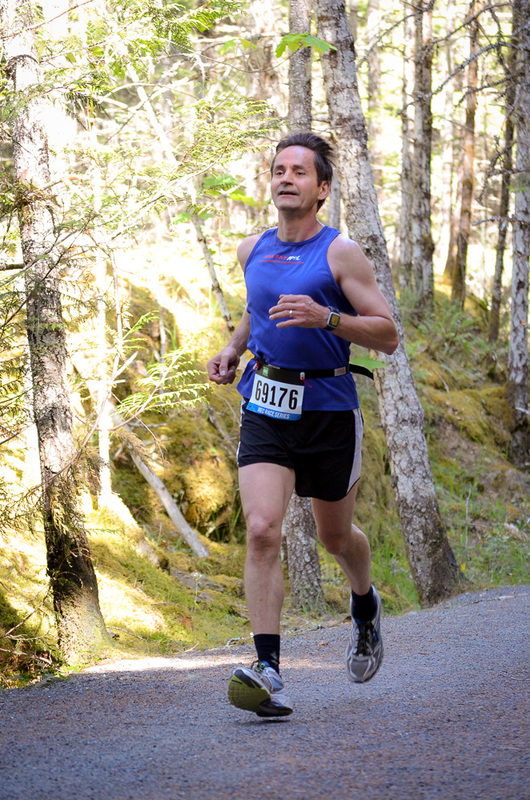 Mark powers through at the Bazan Bay 5K. Photo courtesy of Lois DeEll. Jenny finishes strong at the 2018 Cobble Hill 10K. Photo courtesy of Lois DeEll. Jason and his cheering section got a ribbon at the TriStars Sooke River 10K. Photo courtesy of Dan Clayton. caught on camera before a Sat group run (Oct. 2013): Jackie, Steve, Mark, Amanda, Claude, Tory, Vince and Tom. 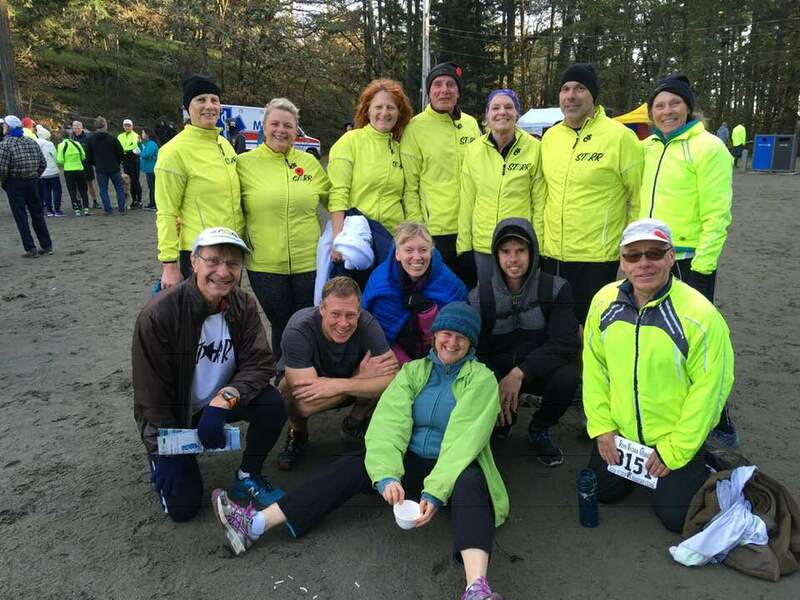 Located in Sooke, BC, the Sooke Trail and Road Runners (STARR) are a fun and friendly group of runners - we welcome runners of all abilities. Camaraderie is an important aspect of our group. We are encouraging to all runners - no matter what speed or age. 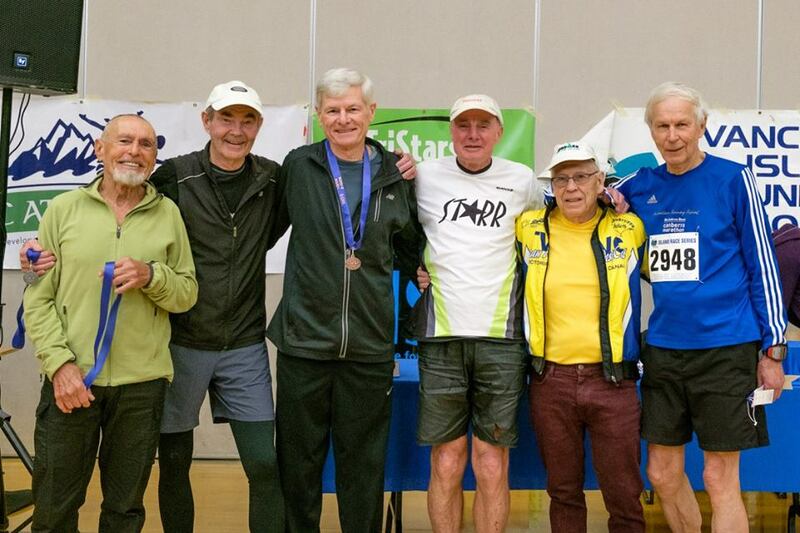 STARR members participate in the Island Race Series and many other running events. We run at whatever speed we are able and willing to go. Individual members are welcome to host fun runs which may include inviting other clubs to join us. These runs vary in distance and terrain and are usually followed by refreshments at the host’s home or location selected. Members may participate in as many of the activities as they like! We don’t all run at the same pace, but we all finish at the same place. Mission Statement: "STARR is a club dedicated to promoting running, fitness and just plain fun. 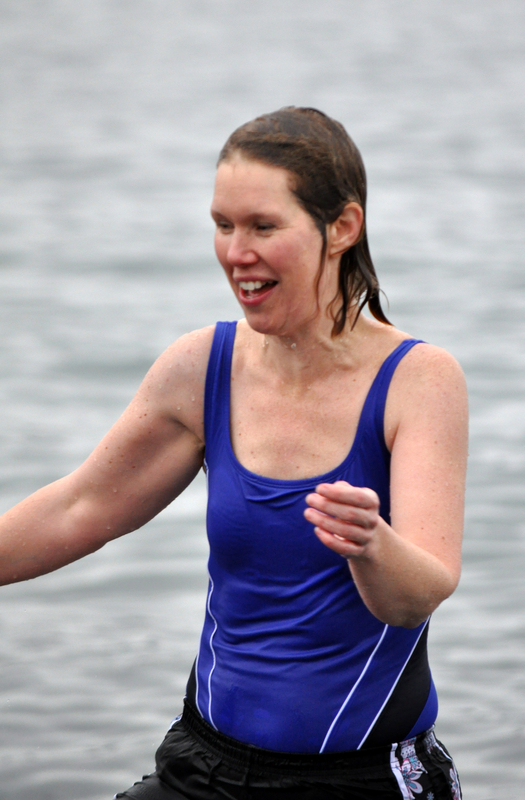 Our members run, hike, walk, and swim --it is about good fun and good people." New runners are welcome to join us without being a member. Just come to one of the group runs on Tuesday, Thursday or Saturday. Membership fee is $20 per year, due in January of each year. All members are also invited to join our Monthly General Meeting - held the second Thursday from Jan.-June and Sept.-Nov. for business and camaraderie. Meetings begin at 7 p.m. at SEAPARC Board Room at 2168 Phillips Road. STARRs, friends and family wait to take the plunge. STARR group before the annual warm-up run for the Polar Bear Swim. STARR got new running jackets in August, 2018. Group runs are a big part of STARR. 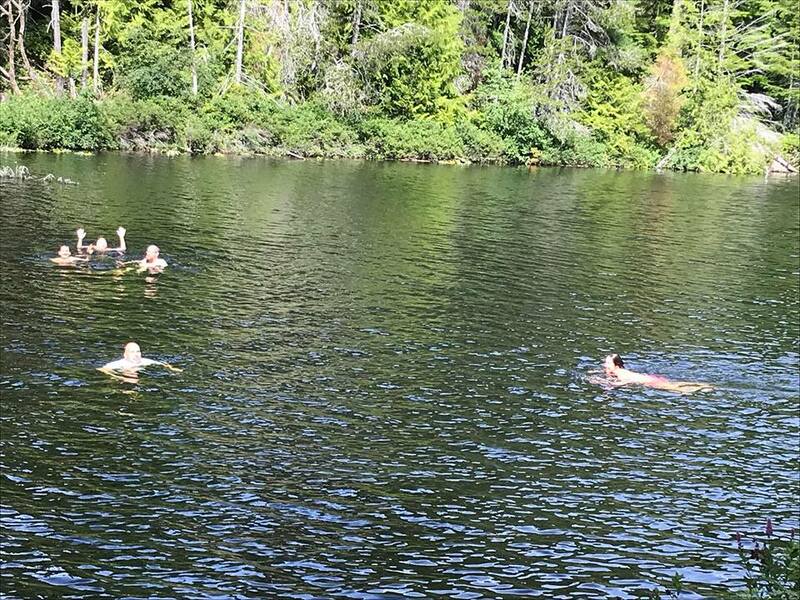 A refreshing dip after the hike up to Peden Lake as part of the Tom Burgess Memorial event. The group after an awesome run on the Matheson Lake trails. STARR is not afraid to go off the beaten path in search of fun and adventure. Jodie, Jim, and Jenny braved the mud on the Matheson Lake trails. 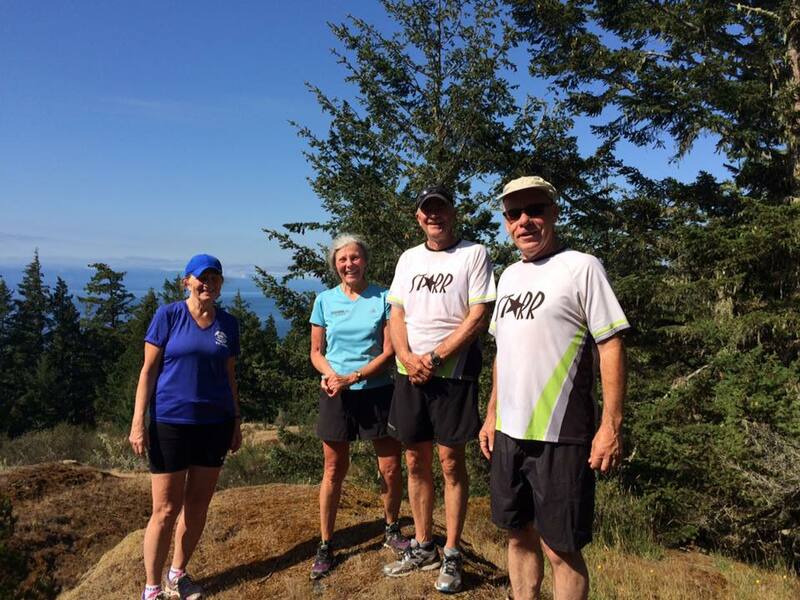 Jenny, Jackie, Jim, and Steve enjoy the view of the Juan de Fuca Strait from the top of Broom Hill. Teresa and Megen ready for a night run! We are not afraid to blaze a trail.